The Asia-Pacific has become the Indo-Pacific region as the US, Japan, Australia and India have decided to join forces and scale-up their political, economic and security cooperation. The message coming from Washington, Tokyo, Canberra and New Delhi is clear: China’s Belt and Road Initiative is no longer the only game in town and Beijing’s policymakers better get ready for fierce competition. Japan’s ongoing and future "quality infrastructure" policies and investments in the Indo-Pacific, in particular, make it very clear that Tokyo wants a (much) bigger slice of the pie of infrastructure investments in the region. China’s territorial expansionism in the South China Sea and its increasing interests and presence in countries in South Asia have done their share to help the four aforesaid countries expand their security and defence ties. Beijing, of course, smells containment in all of this and it probably has a point. Who will have the upper hand in shaping and defining Asian security and providing developing South and Southeast Asia with badly-needed infrastructure: the US and Japan together with its allies or the increasingly assertive and uncompromising China and its Belt and Road Initiative? 2. 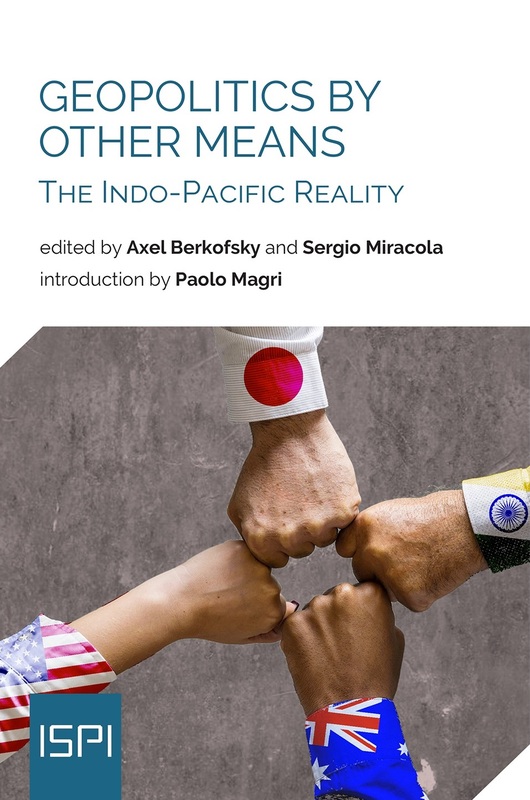 The Indo-Pacific As a New Infrastructural and Economic-Trade Area: A Real Competitor to BRI?